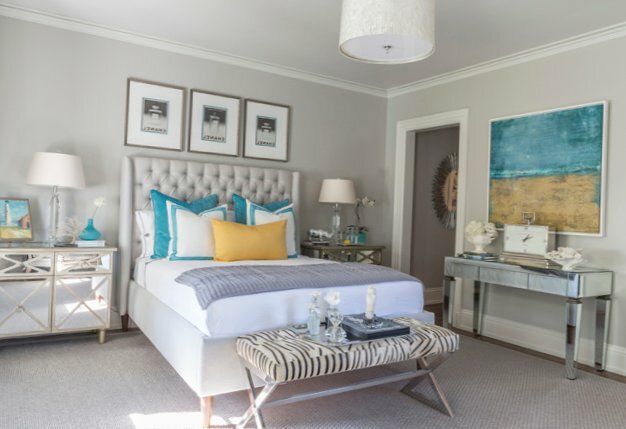 Today we offer to your attention this nice bedroom. 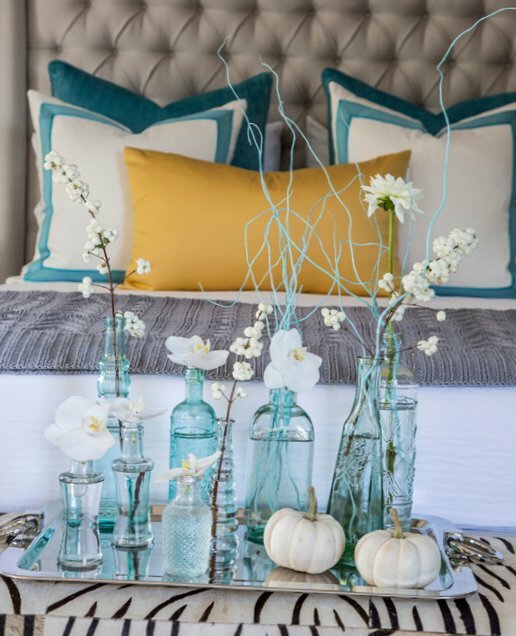 The design was developed wonderful designer Jackie Higgins from the Beach Glass Design (New York). 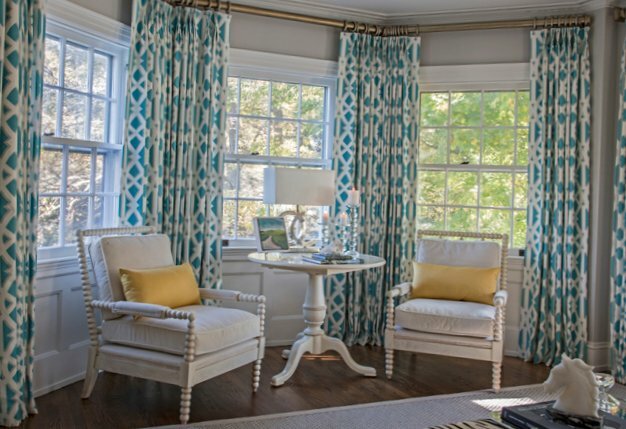 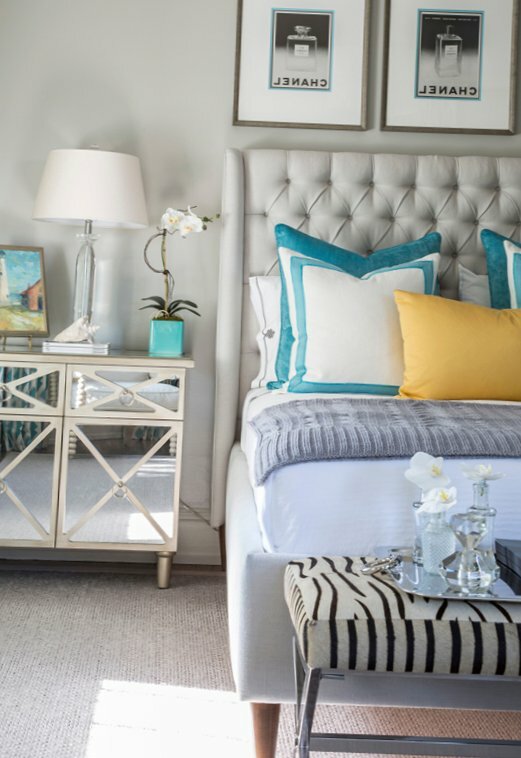 Here is a balance between the turquoise and soft neutral shades – it looks bright and serene. 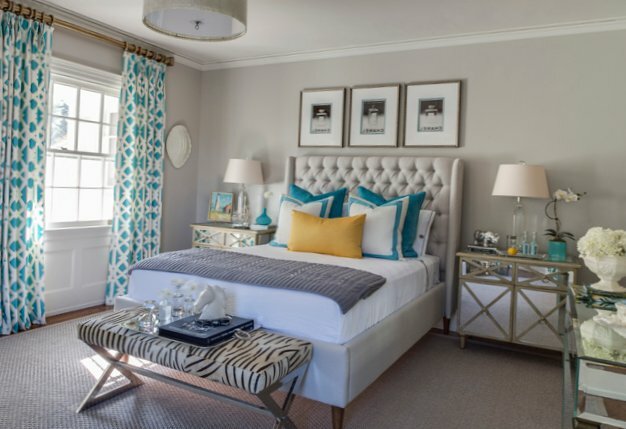 Very elegant bedroom, which, moreover, filled with air and light!